At the end of the week on April 23 Mercury resumes direct motion. Mercury represents our conscious mind and rational thinking processes and includes all forms of communication. In ancient times Mercury was the god of commerce and is usually represented holding a purse to signify his involvement in business. He is the god of interchange, whether monetary interchange as in business transactions or purely mental interchange as in the realm of communications. On the day that Mercury turns direct there is often a tangible outward manifestation of his power. Watch for that on Saturday (MDT). You can look for a business communication that resolves a matter from the past and allows it to move forward again. Or perhaps clarity on an idea that was born about 10 days ago and gets the go ahead today. Or you may finally get that meeting with the client that you’ve been working on. 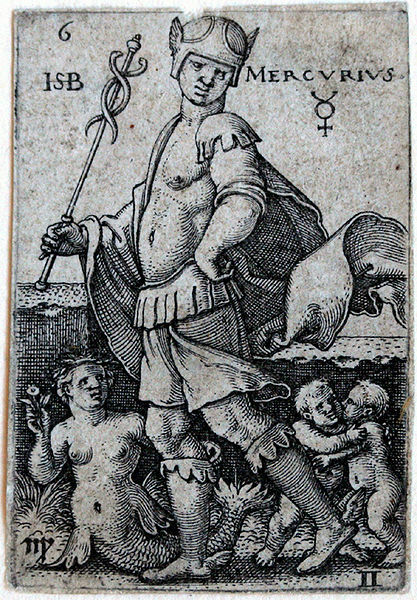 Let’s all watch for Mercury to make himself known and share it with everyone in the comments if you notice his presence today. Don’t be surprised if you feel a little groggy though. The few days around Mercury direct are like to the few minutes after you come out of a particularly deep sleep. It takes some time for our brain wave activity to return to its normal state of functioning. Just like coming out of sleep, it’s good to come out of Mercury retrograde slowly, and not require the top level of mental clarity from yourself or your employees for a couple of days. Enjoy the transition to Mercury direct! For an overview of the Mercury cycle for business, see Mercury Retrograde – What’s It All About? Mercury Retrograde – What’s it all about? Mercury assumes retrograde motion today so I thought we should review where we are in the dance between Mercury and the Sun. The cycle of Mercury retrograde is a tri-annual event and learning to use it well should be in the tool bag of every business person. First, let’s review what the Sun and Mercury symbolize. In astrological thought, the Sun is the essential Self, the individual spark of life that provides energy, purpose and meaning to all of our endeavors. 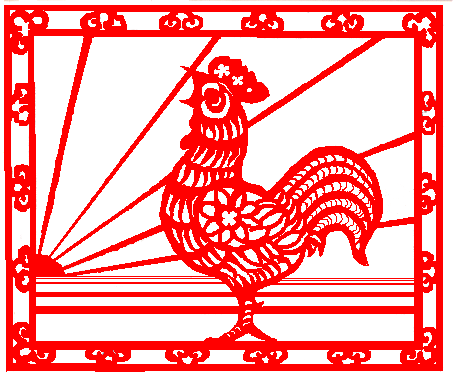 In business, the Sun represents you, the leader, in your role as the one who sets the goals and standards, the values of the company, the direction and flavor. The Sun is the center around which all other facets of the business revolve, including the employees, the customers, the systems, the controls, the profits, and the outcomes. Mercury represents the mind, speech and communication faculties; all of the conversations, messages, and information it takes to keep things moving. This faculty of the rational, reasoning mind is inseparable from the essential Self, just as in the Solar System the planet Mercury is the closest planet to the Sun. The Sun has a creative impulse and, in a sense, hands it off to Mercury to bring into manifestation through speech, planning, and enlisting others. Mercury has two faces. One we experience 80% of the time, the outward facing mental processes which apply attention toward the tasks at hand. This is the busy Mercury, the mind that is constantly transmitting, processing, and analyzing information and making literal, reasoned responses. Mercury’s other face is its retrograde motion, periodic times of looking inward toward inner sources of wisdom. 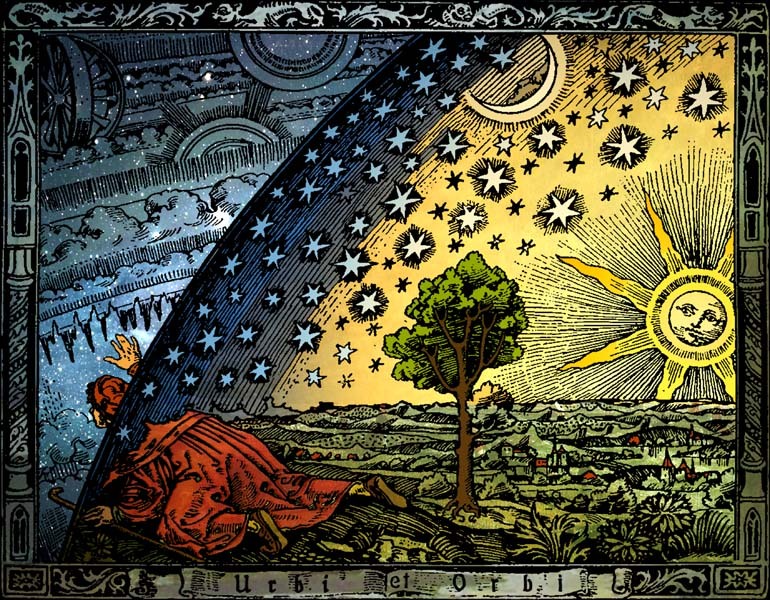 At these times the mind is not so reactive to outer directives, but delves deep into stores of experience and unconscious knowledge to bring back a perspective that only those realms can give. This is an extremely valuable aspect to Mercury, as important to our mental health and acuity as sleeping is to waking. Both sides of Mercury are important to expressing our essential selves: the directly relational Mercury and the inner-tuned awareness of Mercury retrograde. Mercury and the Sun were both moving forward and met at the exact same point in the zodiac. This was on February 25 at 6 degrees Pisces. Mercury zoomed ahead of the Sun, all the way to its position today, 24 degrees Aries. The Sun is 15 degrees behind Mercury at 9 degrees Aries. Mercury turns retrograde today and begins moving back through the zodiac while the Sun is still moving forward. Mercury and the Sun will meet again, the Sun having moved forward to 19 degrees of Aries and Mercury in retrograde motion having moved back to 19 degrees of Aries. This will happen in ten days, on April 9. The Sun will continue to move forward and Mercury will continue to move back until April 23, widening the distance between them. Mercury will turn direct on April 23 at 12 degrees Aries. The Sun will be ahead of Mercury at 2 degrees of Taurus. Now both the Sun and Mercury will be in forward motion again, but the Sun will begin 20 degrees in front of Mercury. Mercury will finally catch up with the Sun on June 12 at 21 degrees of Gemini. This is the same stage as step 1 above, but now it’s four months later and the Sun and Mercury will both have moved forward in the zodiac to Gemini rather than Pisces. And then the whole cycle will begin again. In step 1 above, the Sun and Mercury briefly join together on the exact same degree of the zodiac. This is the best time for a meeting of the minds, an excellent day for communication and planning. It’s like our purpose and our ability to represent that purpose in speech and interaction are hand in hand. It is also a good day to hand out assignments, sending people on fact-finding missions, exploring future possibilities, with a requirement to report back in on what they find. In step 2 above, Mercury zooms ahead of the Sun, moving into the Sun’s future. In other words it travels farther into the zodiac than the Sun. It is ahead of the Sun, like a sentinel or a trail-blazer, getting the first look at the lay of the land. This is the time when your team may be able to see the world more clearly than you, as they fulfill the assignments you gave them hands-on. It is important to listen carefully during this time and continue to support them as they discover new territory. Today In step 3, Mercury reaches its farthest point ahead of the Sun, stops, and proceeds into retrograde motion. An interesting thing happens when Mercury starts retrogressing. It actually covers the same ground it has just been over, in effect, getting a second look but from a different direction. So it not only has new information for its next meeting with the Sun, but it has actually seen it from two different points of view, once going forth, and once coming back. This is the time to pull in those reports, to begin to examine the findings, and to course- correct based on the new information. It is also a time to gather the troops back into the fold if they’ve been out on their own too long. Spend this time reconnecting and refamiliarizing yourself with your people and their stories. In step 4, Mercury meets the Sun again, this time in retrograde motion. It has information for the Sun about the future, it has seen the path the Sun is about to walk. Another great day for a formal meeting, but this time Mercury, in retrograde motion, is still in listening mode, looking for synchronicities and making connections that aren’t apparent on the surface. This meeting may need to account for this. It may be that your best lieutenant has something very important to share but may have a hard time putting it in words. Or you may have an inspiration that will express itself easily through non-linear means, such as color, or music, or movement, rather than the usual white boards, power point, or outlined memos. Step 5 is a really interesting part of the cycle. The Sun and Mercury have met and exchanged energy and information, but Mercury keeps moving back in retrograde motion for about 10 more days, while the Sun moves forward. This is the point in the cycle when the Sun moves ahead of Mercury. It’s almost like the Sun says, good work, I’ll take it from here for a while, you get some rest.And maybe this is a hint we should take for ourselves and our staff. Maybe these ten days should be about rest, with the leader taking on the mantle directly for bringing the business forward. The scouts and emissaries have earned a few days of lowered expectations, and it’s always good for the leader to interact directly with the business environment. In step 6, Mercury resumes direct motion. During our present cycle this will happen on April 23. Whenever Mercury changes direction it slows down for a few days, so this is probably not the time to expect everybody to be 100% back on course. Give it a few days before you start expecting people to be fully back into the rational, linear mode. 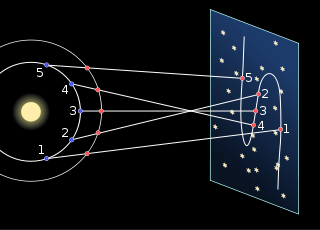 In step 7, both Mercury and the Sun are moving forward, yet Mercury is quite a bit behind the Sun. This is the time when the Leader is in their full power, has stepped into their role completely, setting expectations and demanding accountability. It’s also the time when you can start handing off projects to people; you’re in front, you see the future, you know your ultimate direction. This is a time of maximum clarity and your troops are awake and alert – even if your only troops are your own faculties. And back to step 1. March 30 – Mercury turns retrograde, ahead of Sun. Action: Teams finish assignments, begin to report in. Leader reviews. April 9 – Sun meets Mercury in retrograde motion. Action: Meet with your people, collect assignments, listen, and disseminate information. April 9 – April 23 – Mercury in retrograde motion; Sun moves ahead of Mercury. Action: Let your people rest, take the lead, plan your next steps based on new information. April 23 to June 12 – Mercury in direct motion, Sun ahead of Mercury. Action: Leader implements new plans, moves forward; everyone involved in current projects. June 12 – Sun meets Mercury in direct motion. Action: Meeting of the minds. Spell out your vision, hand out new project assignments, and create exploratory teams for future innovation. June 12 – August 2 – Mercury in direct motion moves ahead of Sun. Action: Teams work on innovation, exploration, future possibilities. Leader manages, coordinates, and provides resources. And here we’re back to step 1 in the cycle. Can you see the natural rhythm that comes with the Sun/Mercury cycle? Shall we give it a try? Tonight Saturn begins a 4 ½ month period of retrograde motion. This period of retrograde motion occurs every year as it is a product of the angle between the Sun, the earth, and the retrograde planet. Whenever the Sun approaches the opposite sign as the planet, the planet appears to move backwards against the backdrop of the stars. Fully 1/3 of the year is spent with Saturn in retrograde motion. Saturn represents the intensity of one’s ambition, the inner pressure to become or accomplish something. Saturn also indicates the Achilles heel, the mind-set in which doubt and fear or an overly conservative attitude works against success. When Saturn is strong in a businessperson’s chart, they run a tight ship with an authoritarian management style and excellent administrative abilities. In business, Saturn describes systems and procedures, controls and policies. It can also indicate outside rules and regulations such as tax and housing codes and the general level of difficulty the business will experience with outside authorities. It rules audits and reporting, bureaucracy and bylaws. It also shows the area where good hard work and persistence will pay off and where inner and outer limitations can spark real growth and accomplishment. When Saturn is retrograde we have the opportunity to examine whether our standard modes of operation truly spring from our own values, or have been imposed upon us by authority figures or societal norms. It’s a time when our regular structures of support and stability may be withdrawn and we have to rely upon our own creativity and self-discipline to achieve our goals. Saturn becomes less direct and overt when in retrograde motion which can relieve stress and struggle. Yet as business managers we may see that our authority becomes undermined as others break free from outer rules and regulations too. If you run into difficulties with authority figures, examine your actions from another point of view. Have you given your power over to another authority? Are you blaming something or someone external when you need to bring a more mature attitude to the situation? This is a great time to examine historical practices to see if they still add value. Undertake a study of some aspect of your processes and procedures to bring new efficiency to a stale operation. Your normal sense of lock-in weakens during Saturn retrograde. Often we are so habituated to the way we think about a problem that potential solutions are not even considered. Explore options you would normally consider too risky. Saturn retrograde is a great time to undertake a major restructuring effort. Resistance to change is lowered during this time. You may be thwarted in your role as an authority figure in your business during Saturn retrograde. If so, share authority, be willing to listen, and promote those who act with good judgment and teamwork. Expose others to the reality of your business situation and demand that they step up into more responsibility. With Saturn in the back seat, your timing may falter if you adhere to too rigid schedules. Provide room in your meetings and to-do lists for the unexpected. List your major responsibilities, both in your business and in your personal life, and examine if they are in balance. This is a great time to bring a sense of proportion back to your activities. Your normal support staff or mentors may falter. You may need to support others more or rely upon your own creativity and self-discipline to get the job done. This is a great opportunity to develop support for your supporters. 10. If there is a shift in a business alliance, ask yourself, “How can I exploit this change as an opportunity for my organization?” More profitable alliances are most likely waiting in the wings. Remember, Saturn rules common sense and this quality may be lacking while Saturn is retrograde. Be more vigilant than usual as you weigh your options and potential projects. Your practical wisdom is there; you just need to take more time to access it. Have fun, but no off-the-cuff decisions, please! Since the most important aspects this week center around Mercury retrograde, including the Sun/Mercury retrograde conjunction, I thought we should revisit the whole Mercury retrograde cycle. The cycle of Mercury retrograde is a tri-annual event and learning to use it well should be in the tool bag of every business person. Mercury represents the mind, speech and communication faculties; all of the conversations, messages, and memos it takes to keep things moving. This faculty of the rational, reasoning mind is inseparable from the essential Self, just as in the Solar System the planet Mercury is the closest planet to the Sun. The Sun has a creative impulse and, in a sense, hands it off to Mercury to bring into manifestation through speech, planning, and enlisting others. Mercury and the Sun were both moving forward and met at the exact same point in the zodiac. This was on October 16 in Libra. Mercury zoomed ahead of the Sun, all the way to 5 degrees of Capricorn. The Sun was 16 degrees behind Mercury at 19 degrees of Sagittarius. Mercury turned retrograde and started moving back while the Sun was still moving forward. This happened on December 10. Mercury and the Sun again meet at the exact same point in the zodiac, the Sun having moved forward to 28 degrees of Sagittarius and Mercury in retrograde motion having moved back to 28 degrees of Sagittarius. This is where we are in the cycle this week, on Sunday, December 19. The Sun will continue to move forward and Mercury will continue to move back for about 10 days, making them even farther apart. Mercury will turn direct, this time on December 30 at 19 degrees of Sagittarius. The Sun will be ahead of Mercury at 8 degrees of Capricorn. Now both the Sun and Mercury will be in forward motion, but the Sun will begin 19 degrees in front of Mercury. Mercury will finally catch up with the Sun on February 25 at 6 degrees of Pisces. This is the same stage of the cycle as step 1 above, but now the Sun and Mercury will have both moved forward in the zodiac to Pisces rather than Libra. And then the whole cycle will begin again. In step 3, Mercury reaches its farthest point ahead of the Sun, stops, and proceeds into retrograde motion. An interesting thing happens when Mercury starts retrogressing. It actually covers the same ground it has just been over, in effect, getting a second look but from a different direction. So it not only has new information for its next meeting with the Sun, but it has actually seen it from two different points of view, once going forth, and once coming back. This is the time to pull in those reports, to begin to examine the findings, and to course- correct based on the new information. It is also a time to gather the troops back into the fold if they’ve been out on their own too long. This is the time for reconnection and to re-familiarize yourself with your people and their stories. This Week: In step 4, Mercury meets the Sun again, this time in retrograde motion. It has information for the Sun about the future, it has seen the path the Sun is about to walk. Another great day for a formal meeting, but this time Mercury, in retrograde motion, is still in listening mode, looking for synchronicities and making connections that aren’t apparent on the surface. This meeting may need to account for this. It may be that your best lieutenant has something very important to share but may have a hard time putting it in words. Or you may have an inspiration that will express itself easily through non-linear means, such as color, or music, or movement, rather than the usual white boards, power point, or outlined memos. Step 5 is a really interesting part of the cycle. The Sun and Mercury have met and exchanged energy and information, but Mercury keeps moving back in retrograde motion for about 10 more days, while the Sun moves forward. This is the point in the cycle when the Sun gets ahead of Mercury. It’s almost like the Sun says, good work, I’ll take it from here for a while, you get some rest. And maybe this is a hint we should take for ourselves and our staff. Maybe these ten days should be about rest, with the leader taking on the mantle directly for bringing the business forward. The scouts and emissaries have earned a few days of lowered expectations, and it’s always good for the leader to interact directly with the business environment. In step 6, Mercury resumes direct motion. During our present cycle this will happen on December 30. Whenever Mercury changes direction it slows down for a few days, so this is probably not the time to expect everybody to be 100% back on course. Give it a few days before you start expecting people to be fully back into the rational, linear mode. December 19 – Sun meets Mercury in retrograde motion. Action: Meet with your people, collect assignments, listen, and disseminate information. December 19 – 30 – Mercury in retrograde motion; Sun moves ahead of Mercury. Action: Let your people rest, take the lead, plan your next steps based on new information. December 30 – February 25 – Mercury in direct motion, Sun ahead of Mercury. Leader implements new plans, moves forward; everyone involved in current projects. February 25 – Sun meets Mercury in direct motion. Meeting of the minds. Spell out your vision, hand out new project assignments, and create exploratory teams for future innovation. February 25 – March 30 – Mercury in direct motion moves ahead of Sun. Teams work on innovation, exploration, future possibilities. Leader manages, coordinates, and provides resources. March 30 – Mercury turns retrograde, still ahead of Sun. Teams finish assignments, begin to report in. Leader reviews. Since I’m traveling and enjoying the holidays, these posts will be more sporadic and spontaneous until the end of December. I think the best idea is to subscribe via the RSS feed above and then you’ll be notified by email whenever there is a new post. I don’t want to lose touch with you. Do you like roller coasters? 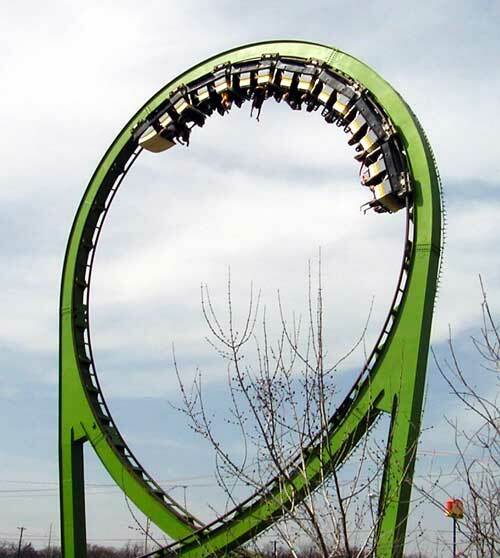 As I study the planetary influences this week I have a sense we’re in those seconds just before the roller coaster car reaches the very top of the trajectory, when you know you’re about to irrevocably slide over the top. This is a week with the potential to experience that same mounting excitement, the anticipation mixed with trepidation, the pent-up potential just before the kinetic release. All of this energy erupts from powerful turning points in the retrograde cycle of four different planets: Neptune, Jupiter, Venus, and Uranus. Jupiter, Venus, and Uranus are each visually at a standstill as they prepare to resume direct motion, and on Thursday Venus and Jupiter actually turn and begin moving forward again. This is good news! 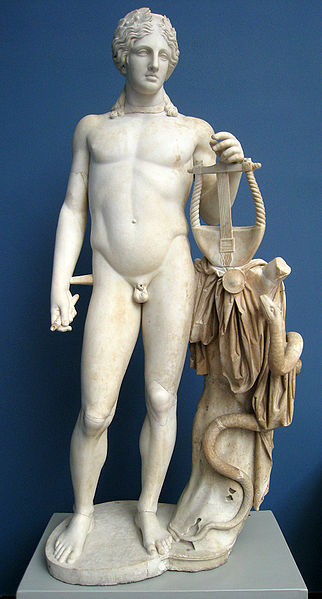 Venus and Jupiter are known in astrology as benefics. Their influence is generally supporting; they both bring blessings and confidence. They are the “success” planets; they correspond to the areas of business life we regard as enticing and rewarding: professional relationships, money, creativity, art, job satisfaction, good public relations, new opportunities, expansion, foreign markets, philanthropy, justice and vision. You may have felt these matters to be on hold or even heading in the wrong direction for a few months as both Venus and Jupiter have been in retrograde motion. Their periodic retrograde motion brings a time of review and a deeper probing into these areas, often resulting in an uncomfortable realization that our actions have not been in alignment with our core values. When these planets resume direct motion it’s time to course-correct. However, you may not want to make a major change this week; it’s perhaps too fresh and possibly disorienting. But that doesn’t mean we shouldn’t allow ourselves to delight. We’ve earned our freedom through the last months of retrograde motion, and if enthusiasm returns with a bang this week then that’s exactly as it should be. So I’d like to ask all of you to conduct an experiment with me. There’s an astrological theory which says that on the day a planet resumes direct motion, it manifests a turn of events in our lives. Let’s test this theory. Both Venus and Jupiter resume direct motion on November 18 and both are very strong in signs they rule, Libra and Pisces – if there was ever a prime testing time, this week is it. Take notice if you experience a turnaround in the matters mentioned above (professional relationships, money, creativity, art, job satisfaction, good public relations, new opportunities, expansion, foreign markets, philanthropy, justice and vision.) Remember the roller coaster feeling, a feeling of release, relief, a returning excitement, an opportunity for advancement. In the comments section, let’s collect all of our wisdom with objectivity. Again, we’re looking for real world turns and advancement: promotions, windfalls, proposals, etc. And it’s just as important to note whether nothing happens, or something negative. This is our opportunity to learn, and to add to the ever-evolving knowledge about astrology and business. I’m looking forward to hearing from you! Two major planetary events today: Mars leaves Scorpio and enters Sagittarius and Venus in retrograde motion joins the Sun. These two events are quite different so don’t be surprised if the day is full of twists and turns. Mars, as the ancient ruler of the sign Scorpio and the lord of aggression and war, has been particularly strong since it entered Scorpio on September 14. We can all relax a little as he passes into Sagittarius. If you’ve been grappling with a conflict that just wouldn’t yield, you can expect some breathing room soon, maybe even today. Issues with investments, debt, insurance, and financial difficulties with partners are on their way to resolution under justice-seeking Sagittarius. However, as Ray Merriman says, “Mars in Sagittarius can hardly be considered ‘mild.’ This is a wild, untamed horse, waiting to break loose and trample over anything it its path.” If you have felt stuck lately, watch out. You could suddenly experience lots of jostling, bravado, and risk-taking. If you do, it’s worth asking yourself: is anything actually being accomplished? The best case scenario for Mars in Sagittarius is an ability to stand on the balcony and see patterns in what is happening below. The long-view should become clearer and the way to apply your staff toward a productive move forward should become apparent. And people are more willing with Mars in Sagittarius to work as a team to accomplish a worthy goal. Your challenge is to marshal everyone’s energy and keep it moving in the same direction. This is the point exactly half-way through the Venus Retrograde cycle, the point where the Sun and Venus meet behind closed doors to share what’s been learned so far. Since October 8 when Venus turned retrograde, we’ve all had our share of relationship and financial lessons and today we can become more conscious of how all the pieces fit together. Up to this point you may have been dealing with matters from the past: old colleagues coming back into your life; financial issues you thought you had resolved returning; negotiations you thought were settled coming back up for review. Your staff may have expressed dissatisfaction with their pay or the amount of creative independence you allow them. Or your creative people were just not as productive as usual. Perhaps there was more inter-office conflict than usual. All these are hallmarks of Venus retrograde. After today you will feel a definite shift in the energy, not so much reviewing and reworking the past as slowly reorganizing to prepare for the future. Whatever has been revealed by now in your professional relationships is probably the extent of it; now you have to figure out what to do about it. As long as Venus is retrograde, until November 18, it is not the time to make any major changes. Evaluation, yes, but change, no. It is highly likely that other matters will gain in importance once Venus has turned direct, and other people’s behavior can shift too as they come to their own realizations. It’s also not the time to make major adjustments in your investments or financial strategy. It’s wonderful if you’ve become more aware of the reality of your financial situation and an excellent time to think through the ramifications of different options. It’s also fine to renegotiate an existing contract or bank loan. But it’s easy to react emotionally when Venus is retrograde and to make moves you regret later. So hold tight. The worst is probably over and the next three weeks are excellent for reorienting yourself to any new information and frankly discussing and resolving past miscommunications. Do you have examples of Venus retrograde? Let us all know in the comments. I’ll start: on my recent trip back East I met with former colleagues and employees I hadn’t seen in many years. I could see how they’ve changed and grown and overcome difficulties they had when I supervised them. As I let the image I held of them mature I realized that they could now mentor me, as I had mentored them in the past. This updating of these relationships, as well as the link it provided to a past time, was my gift from Venus retrograde. How about you? For an excellent piece on Venus retrograde, check out Venus Retrograde for 2010: How to Constructively Use the Venus Retrograde Period by Lynn Koiner. Today the Sun and Mercury meet, one of the two times they meet during one complete cycle. I’d like to examine the whole Sun/Mercury cycle, first to make sure we understand where we are in the cycle and second, to see how we can optimize these repeated cycles in our immediate business lives. Mercury represents the mind, speech and communication faculties; all of the conversations, messages, and memos it takes to keep things moving. This faculty of the rational, reasoning mind is inseparable from the essential Self, just as in the Solar System the planet Mercury never gets too far from the Sun. The Sun has a creative impulse and, in a sense, hands it off to Mercury to bring into manifestation through speech, planning, and enlisting others. Mercury and the Sun were both moving forward and met at the exact same point in the zodiac. This was on June 28 at 6 degrees of Cancer. Mercury zoomed ahead of the Sun, all the way to 19 degrees of Virgo. The Sun was 21 degrees behind Mercury at 28 degrees of Leo. Mercury turned retrograde and started moving back while the Sun was still moving forward. This happened on August 20. Mercury and the Sun again meet at the exact same point in the zodiac, the Sun having moved forward to 10 degrees of Virgo and Mercury in retrograde motion having moved back to 10 degrees of Virgo. This is where we are in the cycle today. Mercury will turn direct, this time on September 12 at 5 degrees of Virgo. The Sun will be at 20 degrees of Virgo. Now both the Sun and Mercury will be in forward motion, but the Sun will be quite a way in front of Mercury. Mercury will finally catch up with the Sun on October 16 at 23 degrees of Libra. This is the same stage of the cycle as step 1 above, but now the Sun and Mercury will have both moved forward in the zodiac to Libra rather than Cancer. And then the whole cycle will begin again. So if the Sun is our essential Self and its purposes and Mercury represents our thinking, speaking, and communicating faculties, what does this cycle tell us about the interaction of these parts of ourselves, and how can we use these cycles in our businesses? In step 3, Mercury reaches its farthest point ahead of the Sun, stops, and proceeds into retrograde motion. An interesting thing happens when Mercury starts retrogressing. It actually covers the same ground it has just been over, in effect, getting a second look but from a different direction. So it not only has new information for its next meeting with the Sun, but it’s actually seen it from two different points of view. In step 6, Mercury resumes direct motion. During our present cycle this will happen on September 12. Whenever Mercury changes direction it slows down for a few days, so this is probably not the time to expect everybody to be 100% back on course. Give it a few days before you start expecting people to be fully back into the rational, linear mode. September 3 – Sun meets Mercury in retrograde motion. Action: Meet with your people, collect assignments, listen, and disseminate information. September 4 – 12 – Mercury in retrograde motion, Sun moves ahead of Mercury. Action: Let your people rest, take the lead, plan your next steps based on new information. 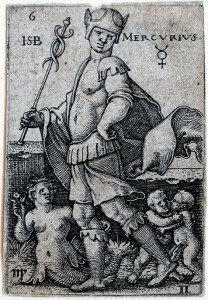 September 12 – October 16 – Mercury in direct motion, Sun ahead of Mercury. Leader implements new plans, moves forward; everyone involved in current projects. October 16 – Sun meets Mercury in direct motion. Meeting of the minds. Spell out your vision, hand out new project assignments, and create exploratory teams for future innovation. October 16 – December 10 – Mercury in direct motion moves ahead of Sun. Teams work on innovation, exploration, future possibilities. Leader manages, coordinates, and provides resources. December 10 – Mercury turns retrograde, still ahead of Sun. Teams finish assignments, begin to report in. Leader reviews. 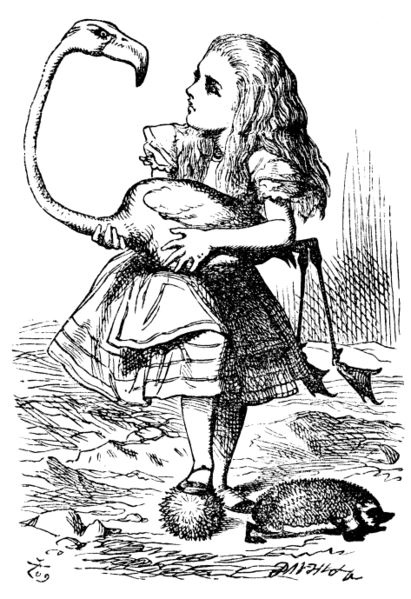 A4B Today – August 26, Like Alice? How are you faring with the Full Moon lunar phase and Mercury Retrograde? Are you experiencing the push/pull between these two astrological events? The Full Moon is the time to drive our project or idea over the top, to exert ourselves to bring some matter to fulfillment. This is part of a monthly cycle in which we initiate something new after the New Moon, focus our will to grow our idea into manifestation over the next 10 days of the waxing Moon, and then at Full Moon we take our project public, we present it to our customers, we invite feedback, we expose ourselves! And then over the next two weeks the Moon leaves its fullness and we start the process that eventually hands the project off to others and we prepare ourselves for the next cycle of inspiration and hard work. Simple right? This is a cycle we repeat more than 1000 times in an average lifespan so even if we’re not consciously aware of it we’re most definitely unconsciously responding to its rhythms. However, during this particular lunar cycle we are also experiencing Mercury retrograde, a time for pulling back, letting projects simmer, and giving ourselves time and space to let solutions bubble up from our inner storehouse of wisdom. We experience the three-week Mercury retrograde period about 250 times in an average lifespan, so we’re not unfamiliar with this either. In fact, one of the intentions of this blog is to make us all more familiar with both of these cycles so we can use them to advantage in our business lives. So the Full Moon phase is telling us to produce NOW! And Mercury retrograde is telling us to withdraw, review, and bide our time. One way we could parse this out normally is to look at the different areas of life each is affecting as reflected in our horoscopes or that of our businesses. Then we could say, well I’m going for it in this area, but I’m holding back and reviewing in that area. Not this time. Retrograde Mercury is in Virgo, the same sign as the Sun. Therefore the areas of our business affected by the Full Moon and retrograde Mercury are the same. This could feel a bit like an alternating current. A burst of energy and intention may come, followed by a sense that the timing isn’t right to act. A solution may come only to fall apart when you try to implement. Conversely, you may decide to stay at your desk and try to make incremental progress but your employees or customers call on you to be more active. You may feel totally stuck but with an inner urge to produce. What is the solution? Time. Soon the Moon will be in a phase, waning to darkness, that will be easier to coordinate with Mercury retrograde. And before we know it Mercury will resume direct motion. So if you’re feeling like you’ve fallen through the looking glass, just hang in there a couple more days. The phase of the Moon will be more in sync with Mercury retrograde and at least we’ll feel like both feet are in the same boat – a welcome relief if you ask me! Three times a year, Mercury enters its retrograde phase for three weeks. Mercury retrograde is an opportunity to turn our attention from our normal “pedal to the metal” style of thinking to a more reflective and inwardly-tuned focus. This may sound inefficient but it’s actually an important part of our mental cycles to pause and review whether there are red flags that we’ve been moving too fast to notice. The trepidation people often feel when they hear that Mercury is moving into retrograde motion stems from ignoring the cues to take a break from direct action and forward motion. 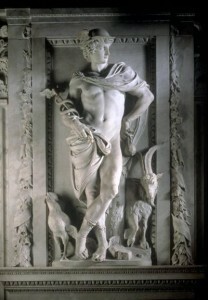 One of Mercury’s guises is the Trickster and he does have a way of getting our attention if we won’t occasionally slow down. Retrograde Mercury signals a time when information from our unconscious mind can rise to the surface and come into conscious awareness. While we’ve been moving full-speed ahead, our deeper self has been grappling with the issues and challenges that we don’t have time to address in our busy business lives. With retrograde Mercury, solutions born of connections, synchronicities, and impressions that we may have missed along the way have an opportunity to present themselves. New information will emerge if we stop trying to figure it all out with our logical, left-brained minds. So if you don’t take direct action during this time, what do you do? We obviously don’t want to just drop the ball and say, oh, Mercury is retrograde so I’m going to the beach for three weeks. (Or do we?) While we put our current plans on the back burner, this is an excellent time to examine past actions and correct any loose ends that may be sapping our energy day to day. Rebuild – Yes, I mean that computer system that you almost implemented but is still hanging everyone up with bugs every day. Recall – If you’ve got your own company “sticky accelerator” this is the time to ‘fess up to your customers and have them let you fix it. Recap – This is an excellent time to look back at your financial, marketing, or production efforts and see where the gains and losses have been to date. Charts, graphs, and spreadsheets can tell the story of the past. Receive – I’m thinking about Accounts Receivable. Do you know where your receivables stand, how many days past due, which customers are behind? This is the time to get clear about what is owed to you and to have the frank discussions with your customers to a committed repayment plan. Don’t worry – it’s good for them with Mercury retrograde to clean up their debts too. Reciprocate – Do you owe somebody a favor, a dinner, a hand? Have you been meaning to show someone how much you appreciated their recent help? Now’s the time to express your gratitude in a tangible way. Recommit – What are the half-done projects that are sitting in file folders waiting for your attention? Now is the time to review them and either recommit to them or put them away for good. Reconcile – Is there someone in your business or local environment that you’ve been at odds with, someone whose support you need? This is the time to make the move to right the misunderstandings from the past and begin again. Reconsider – Look over the past few weeks. Is there something you categorically rejected but keeps coming up in one form or another? Get the facts in front of you again and see if there’s something you missed or new information that makes a difference to your decision. 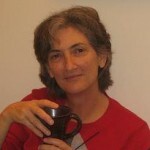 Refine – A great time to look at your systems and processes and refine your approach. What can be done better, more efficiently? What can be automated? Can you reduce the scope while making it even better? Rejoin – Clubs, associations, charities. Have you let yourself become too busy or disheartened to attend to this aspect of your work? Are you still attending but your attention has wandered? This may be the time to rejoin, to give and receive, and to support your colleagues through this challenging year. Today Jupiter, the planet of opportunity and expansion, begins its annual period of retrograde motion. This could usher in a few days of mixed messages and confusion, and you may have the feeling that the brass ring is retreating from sight just when you were about to reach it. With Jupiter, most of us like the planet straight up, in direct motion. When Jupiter is direct we feel optimistic and altruistic; we feel that life is grand, a game to be played, and we’re on the lookout for the next good thing. That’s why it can be depressing around the time Jupiter enters retrograde motion: our enthusiasm can flag, we feel like retreating from our normal range of activity, and our strategies that seemed so perceptive a few weeks ago look overblown and overconfident. People who were born when Jupiter was retrograde may have a different experience of the retrograde period. You may feel like you found your good judgment again and are happy to settle into a more calm and inner-directed mode of being. Jupiter retrograde brings opportunities to spend time alone and to connect with our own sources of wisdom. Especially if we’ve been influenced too heavily by the desires and especially the morals of others, Jupiter retrograde brings a welcome return to our own standards and values. Often when Jupiter turns retrograde some source of external support is withdrawn, and that could shake us up for a few days. However next week, when the Sun forms a harmonious trine with retrograde Jupiter, we can receive deeper insight into why this was necessary. Perhaps we’ve become over-dependent on others’ resources or we’ve let others establish goals for our business that are unsustainable. Perhaps we’ve been masking feelings of trepidation about a project because we were enjoying the prestige that accompanied it. Perhaps we’ve seen the writing on the wall about an idea we’ve invested time and money into, but we were unwilling to throw in the towel and admit that we took it too far. Or maybe overconfidence has brought about a state in which we’re spread too thin, either energetically or financially. Whatever the trigger, when Jupiter goes retrograde we have the opportunity to slow down. Often there is an edict from a powerful stakeholder: your spouse, your partner, your banker, your board, and for a time you feel that you could be successful if others would just give you free rein. But actually this isn’t the case. In order to maintain integrity and balance, there needs to be a deceleration and withdrawal. To regroup. To retreat. To examine the ethics of the situation. To set new goals, goals that are more realistic and fulfilling. Jupiter will be in retrograde motion until November 19. This is an excellent time to vacation, to do inner work to define your goals, to take classes to hone a skill, and to mentor others. It’s not a good time for risk-taking or aggressive expansion, although we shouldn’t resist the natural growth that may unfold during this time. In fact, because we’re more tuned in and reliant on our own resources, an excellent foundation for the future can be laid. This year, with all of the conflicting energies of this summer, Jupiter turning retrograde should have a calming effect. With a retrograde Jupiter, almost all of the planets involved in our summer of transformation are retrograde, with the exception of Saturn. This should simmer down the energy and help us to let matters unfold rather than pushing our agendas. And with retrograde motion that’s what we need – time to withdraw, recuperate, and re-vision. Have a great weekend, and be sure to look for that Full Moon on Sunday – a blessing for sure! You are currently browsing the archives for the Retrograde Motion category.